Our organization is involved in wholesaling a wide range of Herbal Medicines. We manufacture these products using high grade herbal products sourced from genuine vendors around the globe. These medicines are featured with purity and freshness, reliability, free from side effects and hygienically packed. All this products are in great demands amidst of advanced scientific treatments in around the world. 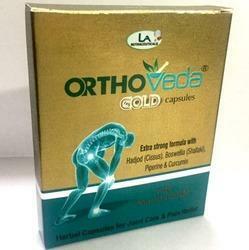 Our firm is involved in manufacturing and supplying a huge range of Orthoveda Gold Capsules. This Herbal Weight Loss Kit is a powerful combination of Olive Oil, Neem Oil & Almond Oil which are very useful in weight management therapy. Slim Veda is a Herbal food supplement. Helps in reducing weight without any side effect. Prevents conversion of extra calories into fat. A safe and healthy way to lose fat. Quality assured and tested natural herbal supplements offered provide relief from ailments like anxiety, depression, weight loss, energy loss and weight loss among others. 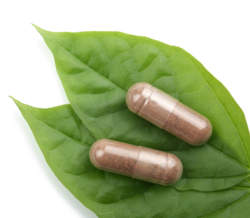 Further, these herbal supplements also support natural growth of the body as well as contain in them different nutritional constituents that provide all natural benefits for maximum benefits. These supplements are offered in different packaging choices to match up with the demands of market. It is used for the various purposes like for blood purifier body growth etc. Its also known as Swasthya Vardhak Syrup. 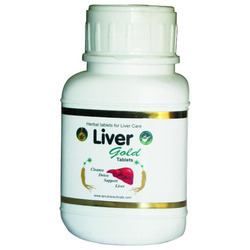 We are renowned as one of the noted manufacturer and supplier of Herbal Tablets for Liver. The tablets offered by us are formulated using highly effective natural ingredients procured from trusted vendors of the market. These tablets act as an ideal wound healing accelerator in varied conditions. Available in packs of 3X60GMS this powder can be taken with water, milk or can be given to the patient by mixing in food. 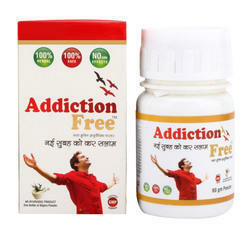 Addiction free powder is herbal powder to get rid of addiction from alcohol, gutka, ciggarete,smoking,etc. Our Addiction free powder should be taken 2 times a day,one spoonful of powder to be taken with water, food or milk. It helps the person to fight addcition by providing many positive health benefits to mind and body. Our product is very effective for de addcition.The precious herbs like kudzu counter the attachment of the addictiong toxins to the body receptors as it occupies the same receptors.The herbs increase will power, mental strenght and peace and tranquility of the mind.Hence the urge for the addictiong susbtance is decreased. Further it increases the health factors like normalises blood pressure, provide strenght, counters cough and other side effects of addicition. It detoxifies the body by removing toxins through urine as well as stools. It detoxifies the liver and increases the body's metolism to remove toxins and digest food and absorb nutrients. Our product is endosed by Mr.Shivaji Satam (of CID serial fame ) and each box has its signatures. Owing to the years of experience, our team is able to develop an extensive range of Ayurvedic Oil. 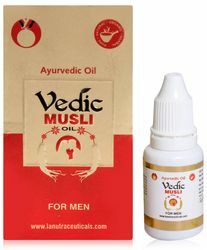 Vedic Musli Oil is a chief ingredient in the preparation of over a hundred ayurvedic formulations, and in allopathic and unanai medicines. It is a mixture of precious Ayurvedic herbs. It contains Kudzu which is used worldwide and widely researched for its benefits. no side effects. 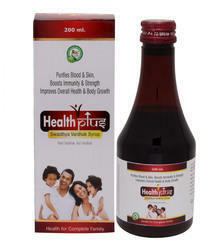 It is a 100 % herbal product which has no side effects. It improves health of the person. Depending on severity of addiction and health condition of the person, this powder can be taken over long periods of time, providing only healthy benefits. 1 .Addiction Free detoxifies the body. The harmful chemicals from the addicting susbtance (alcohol, tobacco, etc) get accumulated inside the body in the liver, kidneys, etc. The herbs in Powder remove toxins from the body. 2. Addiction Free reduces craving of the addicting substance. 3. Addiction Free helps improve the mental strength & will power. 4. Addiction Free cures addiction side effects. It cures the problems of stomach, digestion, cough, bronchial problems, etc. Usually associated with addiction. It improves the overall health of a person. 5. Addiction Free decreases body stress, mental stress and tension. 6. Addiction Free heals/harmonises mind, body and soul. With harmonious mind and healthy body, a person gradually loses interest in consumption of alcohol, tobacco, etc. Direction for use : Take one spoonful (provided inside) of powder two times a day after meals with water. This Ayurvedic powder can also be mixed/added in the food/meals. 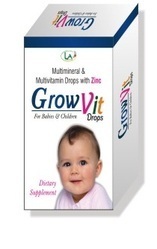 We are engaged in manufacture and supply of an impressive array of Herbal & Ayurvedic formulations including Multivitamin Drops . These are made in accordance with set standards of herbal & Ayurvedic industries and contain therapeutic concentrations of vitamins. Quality assured and tested Pre Workout Supplements offered provide relief from ailments like anxiety, depression, weight loss, energy loss and weight loss among others. Further, these herbal supplements also support natural growth of the body as well as contain in them different nutritional constituents that provide all natural benefits for maximum benefits. These supplements are offered in different packaging choices to match up with the demands of market.